Fleetwood Mac have announced dates for a tour of Australia and New Zealand. The 9-show series – set to open in Perth on August 9 – will include multiple nights in Sydney, Melbourne and Auckland before the trek wraps up in Dunedin on September 21. 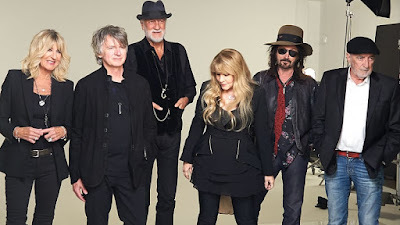 The tour will feature new lineup additions Mike Campbell of Tom Petty’s band and Neil Finn of Crowded House/Split Enz fame in place of longtime member Lindsey Buckingham, following his firing earlier last year. “We are thrilled to welcome the musical talents of the calibre of Mike Campbell and Neil Finn into the Mac family,” says the band. “With Mike and Neil, we’ll be performing all the hits that the fans love, plus we’ll be surprising our audiences with some tracks from our historic catalogue of songs. Tickets for the Australian and New Zealand shows will go on sale on Friday, January 25 via livenation.com.au. The legendary group are currently in the middle of a six-week break from an extensive North American tour, which will resume in Denver, CO on January 31. Singer Stevie Nicks will be inducted into the 2019 Rock And Roll Hall Of Fame during a March 29 event at New York’s Barclays Center alongside fellow honorees Def Leppard, The Cure, Janet Jackson, Radiohead, Roxy Music and The Zombies. Fleetwood Mac were recently named the No. 3 Rock News Artist Of The Year and delivered the No.4 Rock News Story Of The Year and the No. 10 Rock News Story Of The Year as part of the 2018 hennemusic Rock News Awards.